For many years, CPM machines were seen as a significant medical advancement that could help prevent postoperative complications from knee surgery. By getting the knee joint pending immediately following surgery, the goal was to improve restoration of mobility, and ultimately to speed recovery. CPM machines were used routinely after a number of different surgical procedures, particularly knee replacement surgery. Stiffness after knee replacement can be a serious complication and is one of the more common reasons why people are dissatisfied with knee replacement surgery. While approximately 90% of people are satisfied with the results of knee replacement, there are complications that can occur, and reasons why people are not happy with the results of their surgical procedure. One of those problems that can occur his stiffness of the knee joint. Several recent studies have investigated the use of the CPM following knee replacement surgery and ACL reconstruction surgery. In nearly every study the results are essentially the same: there is some benefit in the first days and weeks following surgery, but there is no difference in knee motion after about six weeks. It does not seem to matter if the CPM is used, ultimately, the results are the same. Knee surgery has come a long way in the past fifty years. However, orthopedic surgeons are always looking into ways to improve their results. One persistent problem following joint surgery is stiffness of the joint. Knees are especially problematic because, in order to resume our normal activities, we depend on excellent knee motion. The continuous passive motion, or CPM, was developed in an effort to begin motion as soon as possible following surgery, and, hopefully, alleviate the problem of post-operative stiffness. The argument for a CPM is that patients do have an initial increase in motion following surgery that is more rapid than patients who do not use a CPM. Furthermore, patients who use a CPM following knee replacement surgery are less likely to require knee manipulation (where the patient is given general anesthesia, and the knee is forced to bend) than patients who do not use a CPM. Also, patients often feel a strong desire to be "doing something" to help their recovery. 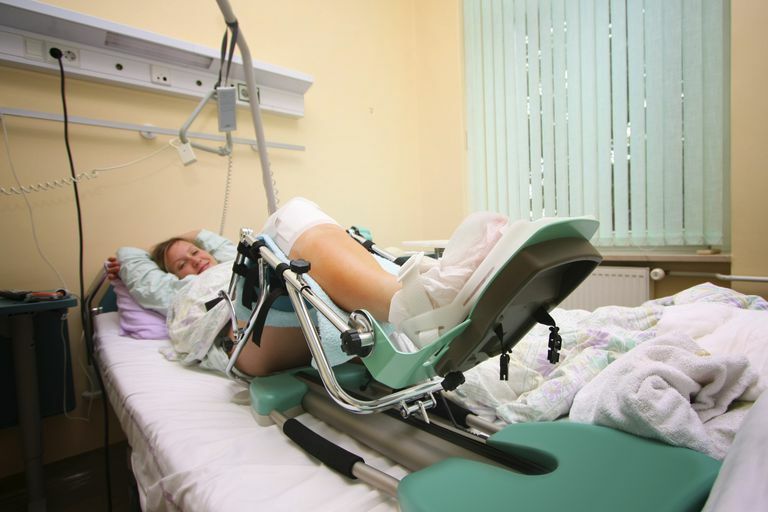 While CPM may not actually alter the result of the surgery, it can give patients a sense that they are doing something to help their recovery, even when resting in bed. No one has shown that a CPM makes any difference in the long run. Time and time again, studies show that within 4-6 weeks of knee replacement surgery, patients who use CPM and those that don't have the same range of knee motion. While there may be the psychological effect stated above, there has been no evidence to show that the use of CPM will ultimately improve the outcome of a knee replacement or anterior cruciate ligament reconstruction surgery. That said, there are some specific procedures, such as a release of contracture or adhesions, where a CPM can be an important part of the recovery from knee surgery. Many surgeons worry that CPM may ultimately slow down recovery by keeping the patient in bed, and not getting more effective active therapy. As stated previously, no one has been able to clearly demonstrate any long-term benefit to the routine use of CPM following a knee replacement or ACL surgery. As the studies clearly show, patients are likely to be at the same point within six weeks of surgery regardless of the use of a CPM. More surgeons are recommending against the routine use of CPM and encouraging patients to focus on active therapy efforts of getting up and out of bed. Chaudhry H, Bhandari M. "Cochrane in CORR: Continuous Passive Motion Following Total Knee Arthroplasty in People With Arthritis (Review)" Clin Orthop Relat Res. 2015 Nov;473(11):3348-54. Mistry JB, Elmallah RD, Bhave A, Chughtai M, Cherian JJ, McGinn T, Harwin SF, Mont MA. "Rehabilitative Guidelines after Total Knee Arthroplasty: A Review" J Knee Surg. 2016 Apr;29(3):201-17.